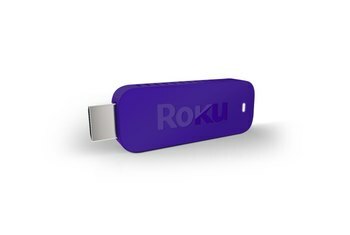 The Roku Streaming Stick is an inexpensive way to bring hundreds of free and paid Internet content services as well as some content from mobile devices to any TV with a free HDMI port. Installation is super easy, and the Streaming Stick supports both 2.4 Ghz and 5 Ghz Wi-Fi networks. 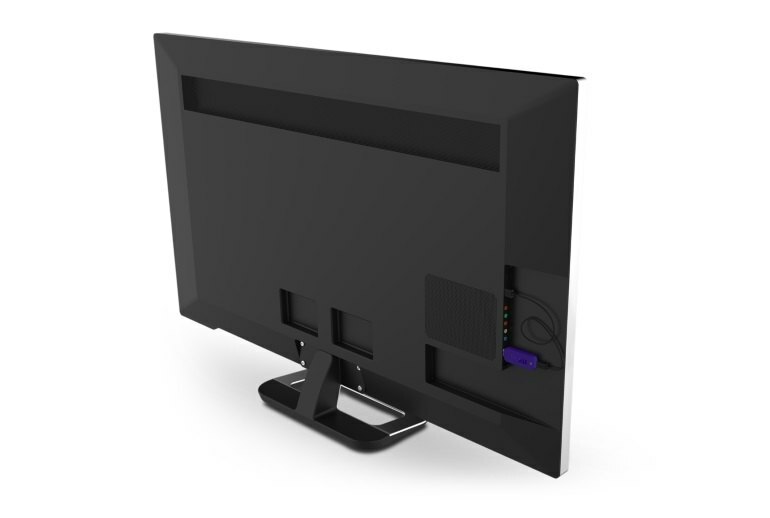 The included remote makes finding and accessing content a snap. The Streaming Stick can be slow to boot and display content from some sites. If your Wi-Fi is iffy, you're out of luck. The Stick does not support a wired connection. 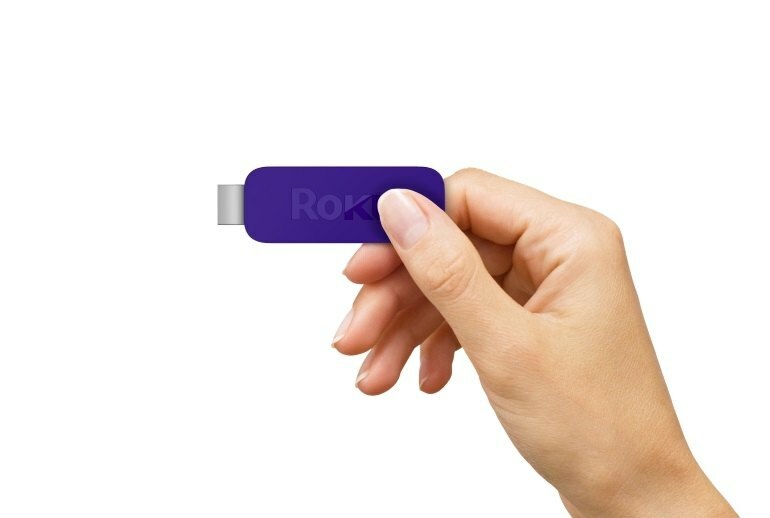 The Stick's remote doesn't have the headphone jack or gesture control available on remotes with Roku's more expensive box model. 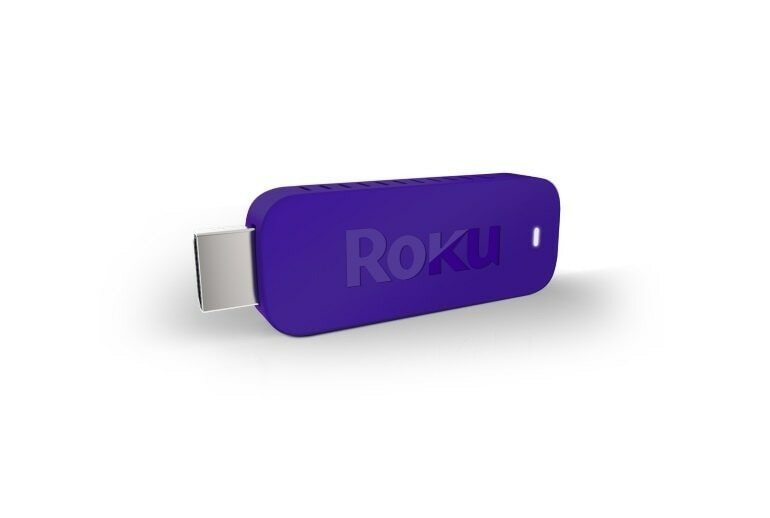 The Roku Streaming Stick lets you view content from hundreds of Internet sources on any TV with a free HDMI port in a home with broadband-connected Wi-Fi. It comes with its own remote to make accessing content easy, and Its portability makes it a great traveling companion. 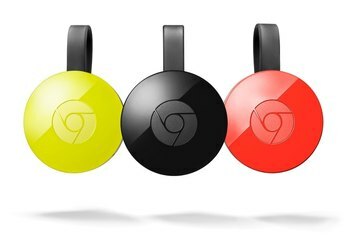 While both the Apple TV and Chromecast currently lack content, the Roku Streaming Stick has loads of it available, and a lot of it is from high-quality providers, such as the BBC, ITV and Sky. As all of the content is available through dedicated apps, you don't need a smartphone or tablet to use any of the content. 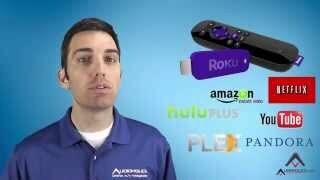 The Roku Streaming Stick is well worth considering as an alternative to the Google Chromecast. Although it doesn't match its rival's simplicity or low price, it provides access to far more content, and its dual-band Wi-Fi capability means you're less likely to suffer from wireless interference. The Roku Stick is the new go-to budget media hub, and easily earns our Editors' Choice for its price, convenience, and feature set. Compact, powerful and simple for all the family to use, with a huge range of content on offer, this little streamer packs a hefty punch. Small, mighty and highly recommended. 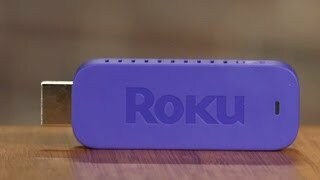 The Roku Streaming Stick is one of the best media streamers around and worth the extra money compared with the Chromecast if you want more content at your fingertips plus the physical remote control and user interface. 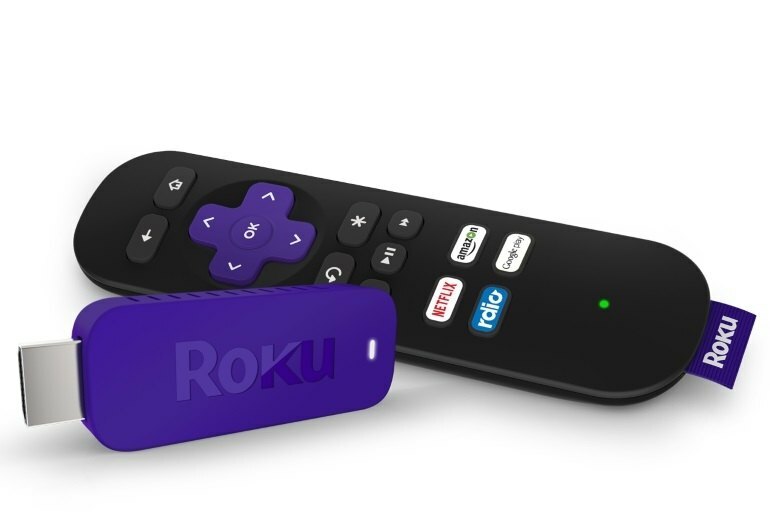 At just $49.99, the Roku Streaming Stick is an incredible value for those that want (yet another way) to stream video and audio through their high-definition televisions. Its compact size makes it easy to bring along on trips, and the number of services offered leaves little to be desired. 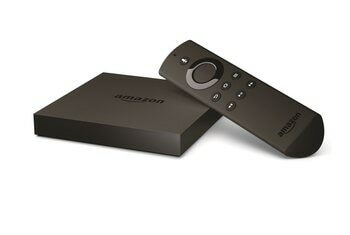 The Streaming Stick is a joy to use—one it was on a Wi-Fi network, the performance was snappy, and the content looked great. If you are thinking about getting an online streaming device, or you're just sick of all those boxes attached to your TV, the $50 Roku stick is an excellent — and inexpensive — way to go. Roku's boxes have continued to shrink over the years, and the Streaming Stick is the culmination of that process. It's essentially all the hardware of a full-size Roku box packed into a device not much bigger than a USB flash drive. Like other stick products, the overall speed of navigating the menu and opening apps is slower than in the box alternative. Casting isn’t why you want to buy one of these. 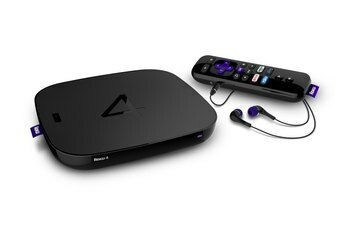 You want one because it’s a cheap way into the Roku platform for streaming video. The company still offers the best ecosystem, giving you a dizzying array of programming options. Over all, for anyone who’s been following streaming media players for a while, it’s tough not to be impressed with what the Roku Streaming Stick delivers for under $50. 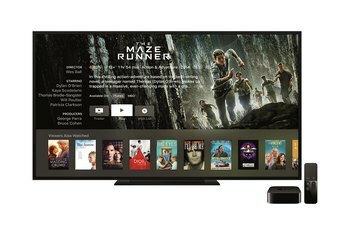 You can now add access to just about every streaming service on any system with an HDMI port, and take it with you to a friend’s house for movie night, or to a hotel room when traveling. This totally works... and I figured out on my own how to actually use it! Really great (& relatively inexpensive) way to get streaming onto the tv. On demand viewing is definitely easier using this device. 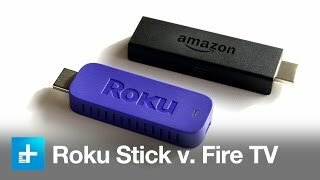 I chose the Roku Streaming Stick over the Amazon Fire Stick and Chromecast because it seemed the most full featured, with the most channels/apps. And back when it had first come out, Roku had universal search, while Amazon's much acclaimed voice search would only search Amazon for content (I think that's changed now). Either way, the Roku works great, is easy to navigate, and has all the content I want. Not a strong argument for cable-cutting. I eagerly anticipated streaming all kinds of off-the-wall content with my Roku Streaming Stick after reading all the positive reviews. But I have found it to be essentially unusable, at least with my Time-Warner 50mbps connection. Every channel takes forever to load, if it ever loads. Netflix barely plays, with lots of buffering and pauses. The remote is extremely unresponsive, even from 10 feet away. I suspect I may have got a flaky unit, I would have thought with a digital device it would either work or not work, not halfway.